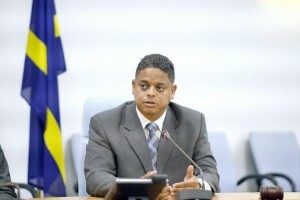 The Government of Curaçao is deeply concerned about developments in Venezuela. WILLEMSTAD - The government underlines the importance of well-functioning democratic institutions and calls for permanent respect for human rights in Venezuela. The government underlines the importance of respecting democratic institutions, including the National Parliament (Asamblea Nacional). The increasing violence around the demonstrations does not contribute to a solution to the political crisis that carries a heavy economic and humanitarian toll. We all benefit from a stable Venezuela and a peaceful solution. Curaçao attaches great importance to the close family and long economic ties with Venezuela and hopes that the situation in our neighboring country will return to normal. We share not only historic but also great common interests with Venezuela, including the refinery operated by the Venezuelan state-owned PdVSA. The Curaçao government, therefore, monitors the situation in our neighboring country with great vigilance. For a good monitoring and data exchange, an Inter Ministerial Working Group Consultation has been appointed to effectively prepare decisions. Developments in our neighboring country are also being followed in the context of the Kingdom in relation to possible measures against Venezuela and the consequences it may have for Curaçao. The government has taken note of the civil call for the temporary legalization of undocumented Venezuelans in our country. The government has, from a human point of view, understanding for the call and praises the solidarity shown. However, there are several aspects which the government has to take into account, such as the limited capacity of Curaçao, both in financial resources and in shelter facilities. Those restrictions are such that there is no room for temporary legalization. The government does not recognize itself in the statement that there is “persecution and oppression” of Venezuelan citizens through the Government or its agencies. Illegal stay involves major risks for those involved because they live in a chain of illegality with risks of exploitation and human trafficking. The Government will always act against this. The policy regarding admission and expulsion applies to all nationalities, who travel to or from Curaçao in a regular or irregular manner. In accordance with the admission and expulsion policy of Curaçao, persons, regardless of their nationality, who have not met the admission requirements or have entered the island illegally will be deported to their country of origin. The government acknowledges that there is a disturbing situation in Venezuela but the people from that country are not exempted from expulsion. Statistical analyzes by the Curaçao authorities have shown that people with the Venezuelan nationality who travels illegally to Curaçao, often stay temporarily on the island to earn income, then return to Venezuela. In addition, there is an overstay. These are persons who legally travel to Curaçao and then stay longer than the allowed 30 days. These people also return to Venezuela after their temporary stay (longer than allowed stay). Through the intensive patrols of the Coast Guard, there is a strict control (as far as possible at a large sea border) on access via the sea. There is a noticeable increase in the number of persons who illegally attempt to access Curaçao through the sea. By 2015, 10 people were seized by the Coast Guard, in 2016 there were 88 people and in 2017 (until July 31) 219 persons. In accordance with the (admission) policy of Curaçao, these persons will be returned to their country of origin after an investigation by the Curaçao Police Corps (KPC). If there is a criminal offense, a criminal procedure will be followed. In 2017 (until June 30), 665 people with Venezuelan nationality were deported from Curaçao after it was proved that they were on the island illegally. Compared to 2016, this is an increase. By 2016, 536 people with a Venezuelan nationality were deported. The Government of Curaçao hopes that the crisis in Venezuela will come to a peaceful solution. The Government is also willing to provide support and cooperation wherever that is desired and possible.